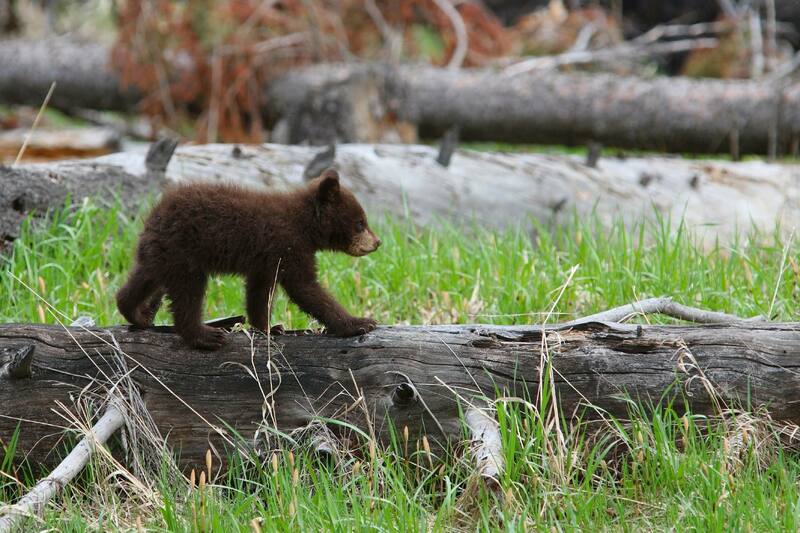 Spring is a wonderful season for observing wildlife in Jackson Hole. 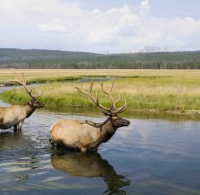 Many spring and summer visitors come to Jackson Hole because of our close proximity to Yellowstone National Park. When they arrive in Jackson Hole, they are always amazed by how beautiful and accessible Grand Teton National Park is too! Grand Teton is just a short drive from downtown Jackson and Teton Village. This stunning park offers unparalleled views of the Tetons, crystal clear lakes, and plenty of opportunities for wildlife watching and photography. 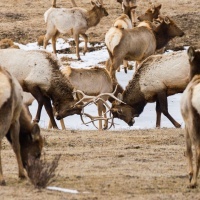 In the springtime, when wildlife viewing is at its peak, we met up with Jackson Hole Wildlife Safaris for a half day experience called a “Sunrise Safari.” This trip is a great opportunity for photo buffs and birders. 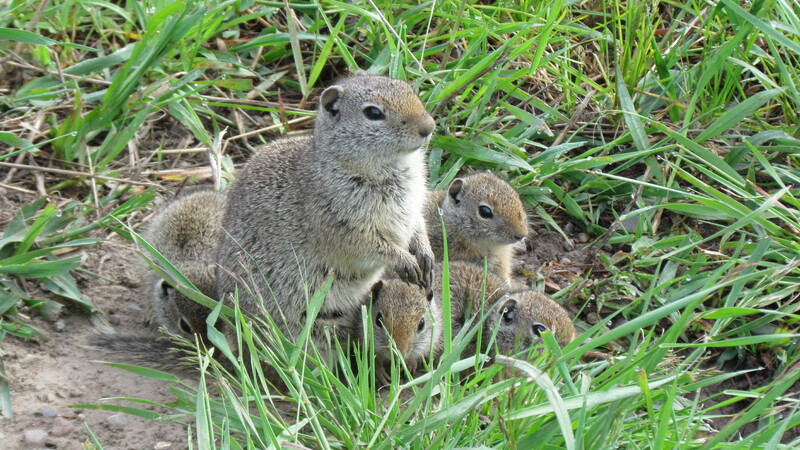 It’s also an excellent way to learn about the wildlife, geology, and natural history of the park. After being picked up by our guide at 6:30 a.m., we headed from Teton Village to the southwest entrance of Grand Teton National Park along the Moose Wilson Road. 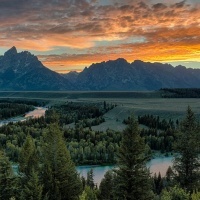 This route offers incredible views of the Tetons and some premier wildlife spotting. As we followed the road along the outside of Grand Teton National Park, we stopped to explore and take photos at the historic homesteads of Mormon Row. We also stopped for amazing views and photo opportunities at Oxbow Bend and Jackson Lake Lodge. The sights were incredible in every direction and as we circled around through the park, there was always another new perspective of the Grand Tetons. At one point in the day, we were able to spend 20 minutes very close to a Great Grey Owl! The owl swooped away for a morning snack and then flew right back to its perch. 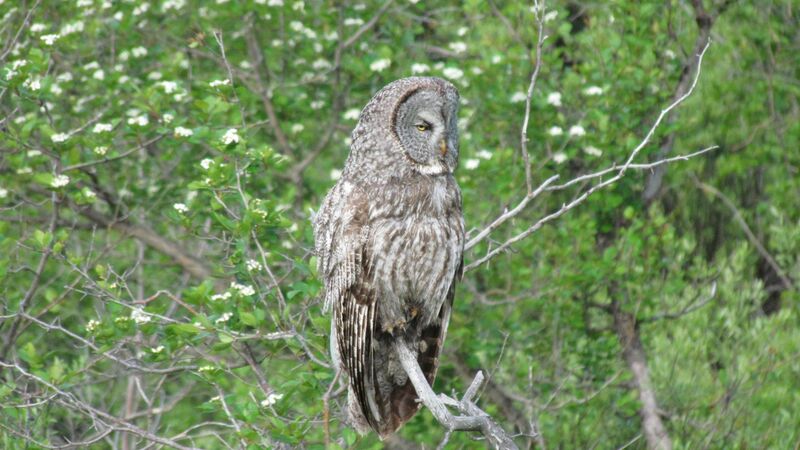 We were able to snap a picture of the Great Grey Owl and nearby mice. (picture 1 owl with mice). 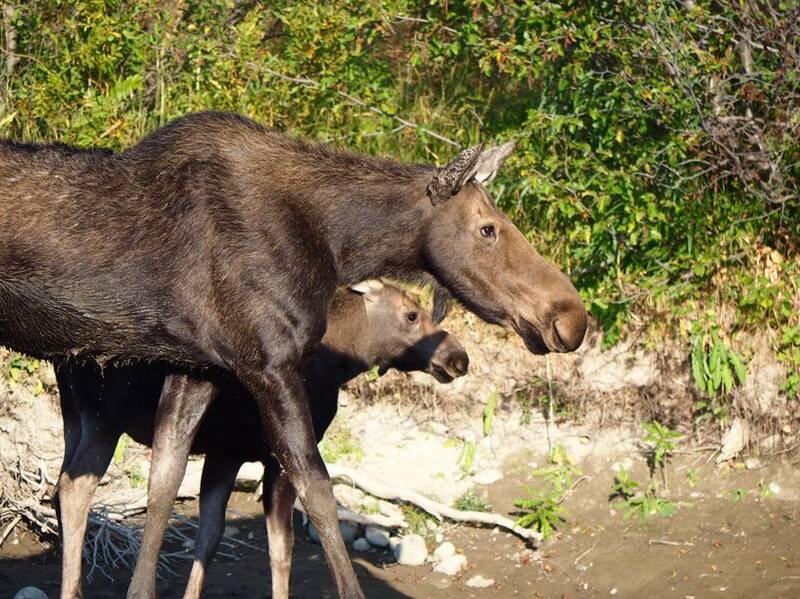 We also spotted a moose lying in the bushes, many white tail deer, elk, and pronghorn throughout the day. Springtime is when female Coyote gives birth to litters of three to twelve pups. We were lucky enough that day to see a baby coyote pop its head up from its den! Our guide for the day was extremely knowledgeable about birds, so every stop we made he was able to point the spotting-scope on Mountain Bluebirds, Western Meadowlark, and other beautiful specimens. The guide also provided snacks, eco-friendly water bottles, and auto-focusing binoculars for all the guests on the trip. 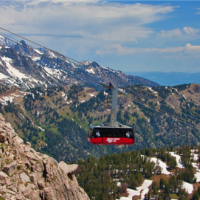 This was a wonderful way to see the highlights and the best views within Grand Teton National Park, while gaining an insider’s knowledge of the area and its wild inhabitants. 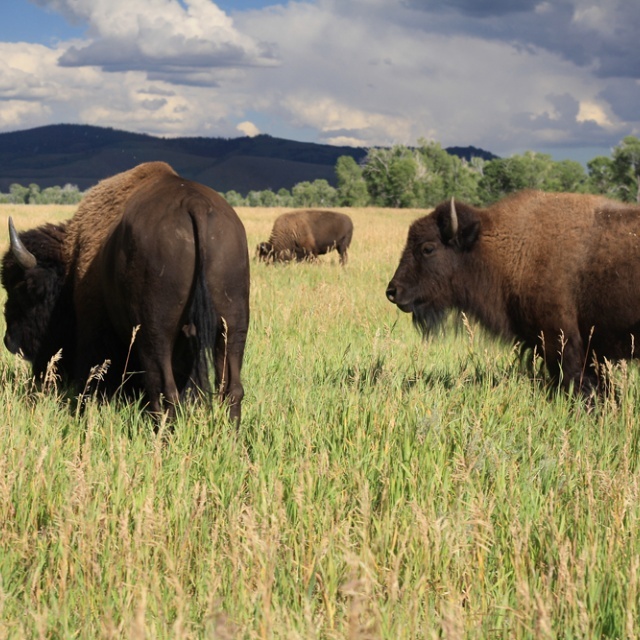 Jackson Hole Wildlife Safaris offers a variety of tours year-round. Give us a call at (888) 838-6606 to learn about all the options and book your own Grand Teton adventure.